The #Binquirer: SDCC '14 is Here! Hello and welcome to the latest edition of the Binquirer, where we give you the news roundup you want about your favourite TV, Movies, and of course Comic Books. Every weekday, we'll provide you with the biggest news in easily digestible chunks. Want to know more? Just click on the links provided! 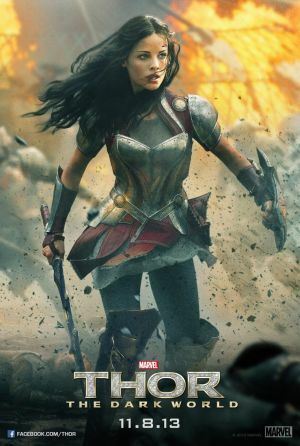 Sif is coming to Marvel's Agents of S.H.I.E.L.D. in their 15th episode. Jaimie Alexander is currently filming her scenes, says ABC president Paul Lee. More at Entertainment Weekly. Reaper creators Tara Butters and Michele Fazekas have signed on to possibly write and produce the Agent Carter TV series. The ABC project is surrounded in secrecy, but it presumed to follow Hailey Atwell's Sharon Carter in her days after Captain America's disappearance. More at Deadline. A Barbarella series has just found a home at Amazon Studios. Skyfall writers Neal Purvis and Robert Wade are set to write the pilot, with a showrunner yet to be announced. More at Deadline. JJ Abrams stopped by TCA 2014 this year and was assaulted by questions about Star Wars. The director confirmed the script for Episode VII is completed and that Jesse Plemon's is one of the actors he is speaking to, but would not confirm any casting. More at The Wrap. The upcoming Son of Batman animated movie now has a cast and a look at the trailer. Based on Grant Morrison's opening arc of his run that recently ended in Batman, Inc., the film will star Jason O'Mara as Batman, Stuart Allen as Damian, and Firefly alum Morena Baccarin as Talia Al Ghul. More at TV Guide. Batman vs. Superman has been delayed by ten months, now with a May 6, 2016 release date. Rumours are swirling as to why, including Affleck's neck injury, but Forbes thinks it's just good business. More at Forbes. Mark Ruffalo has recently discussed The Avengers sequel, having just read the script. Of Age of Ultron, Ruffalo says "it's better, it's cooler, it's more awesomer. It's a little bit darker, but also really has Joss Whedon's incredibly, witty and sly sense of humor." More at MTV. Gary Arlington, widely considered the man who opened America's first comic book store, has passed away. The San Francisco Comic Book Company opened in 1968 and was integral to the underground comix industry that saw the rise of people like Art Spiegelman and R. Crumb. More at CBR. Herobear and the Kid is set to make a return to comics. Creator Mike Kunkel is planning a five-issue series for April after a decade hiatus. More at CBR. 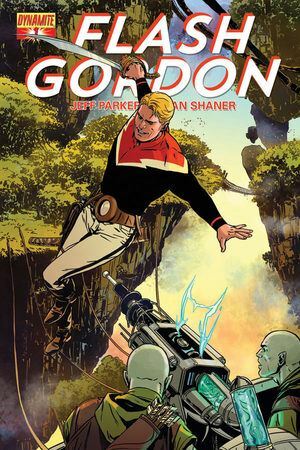 Jeff Parker is set to helm a new Flash Gordon ongoing with artist Evan Shaner. The new series promises "over-the-planet high action and adventure," according to the press release. More at CBR. Red Sonja will be coming in manga form in April. Red Sonja and Cub will be an over-sized manga-style one-shot by Jim Zub and Jonathan Lau. More at Bleeding Cool.